Tailored training specific to the individual’s goals. Perfect whether you are seeking to increase flexibility or endurance, learn to do a headstand in the comfort of your own home, or you’re simply hoping to improve the way that you look and feel. Both male and female trainers are available for private sessions. Let us help to customize the class of your dreams for your Folly Beach or Charleston SC area wedding. Now offering Bridal, bachelorette and bachelor parties and Wedding Day yoga. We can even offer the entire wedding party a class, or offer private sessions to the bride and groom on their wedding day. Whatever you choose, make plans to rejuvenate and relax with us before the big day! We’d love to work with you to create the training or event you are envisioning. 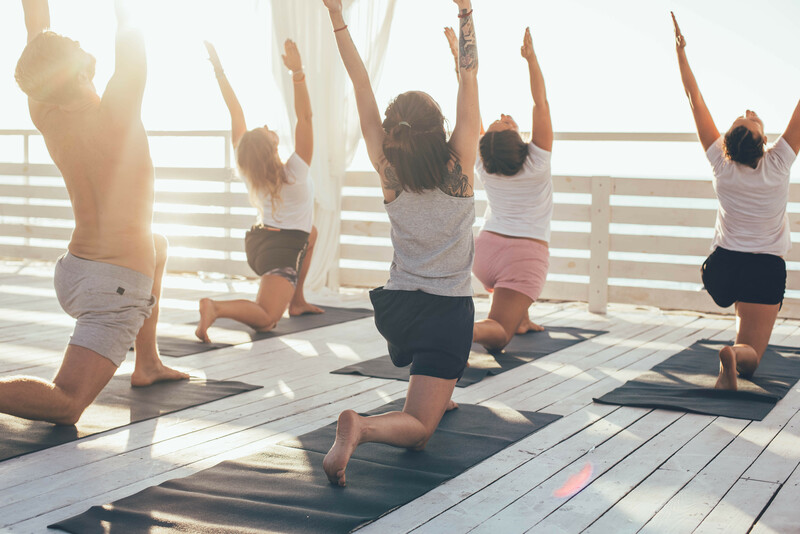 Public beach yoga classes open to all levels through Kiawah Island Yoga. Bring a towel, sunblock, and plenty of water and join us for a seaside yoga class. Class schedules vary, and are weather dependent.